The Wilson Center continued its series of landmark 50th anniversary events today, hosting the unveiling of the Library of Congress’s newly digitized Woodrow Wilson archive. The Wilson papers are one of the largest presidential collections held by the Library, consisting of approximately 280,000 documents and about 620,000 images. The archive provides rare insight into the 28th president’s innovative efforts and accomplishments – from his internationalist vision and diplomatic prowess to his efforts to strengthen the role of the presidency to his push to implement economic reforms, including the income tax, the creation of the Federal Reserve Banks, and anti-monopoly policies. The collection also reflects the enduring controversies he engendered, foremost among them his stances on race relations and segregation. • A love letter Wilson wrote to Edith Bolling Galt, who would become his second wife. 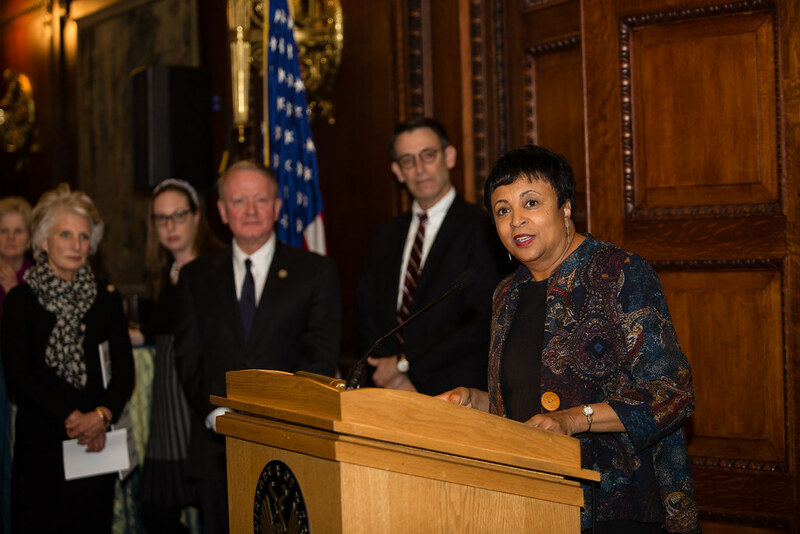 Librarian of Congress Carla Hayden announced the digitization during an event at the Wilson Center, noting that 2018 is the 100th anniversary of one of the most consequential years of Wilson’s tenure in office. The Wilson Center, chartered by Congress in 1968 as a living memorial to the scholar-president, is the nation’s key non-partisan policy forum for tackling global issues through independent research and open dialogue to inform actionable ideas for the policy community.